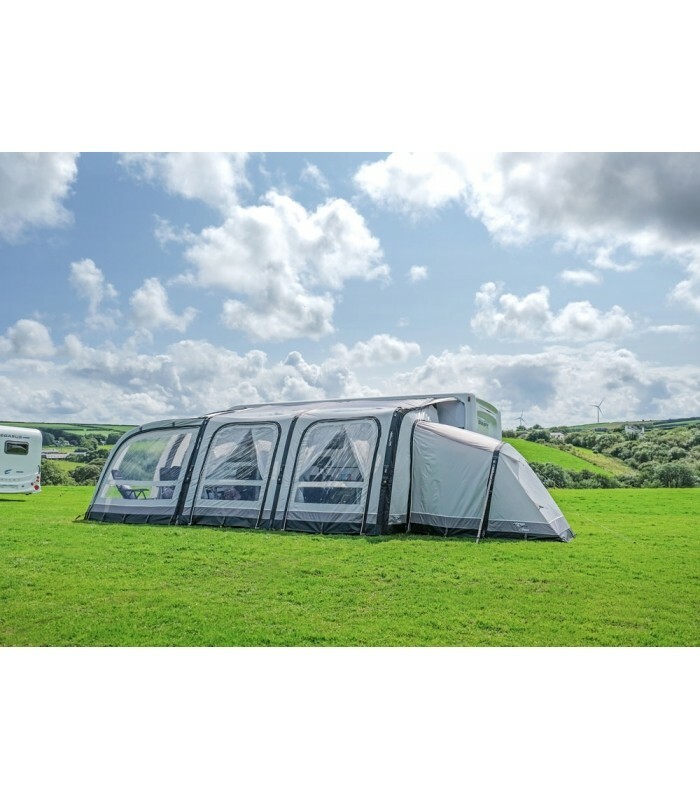 The Varkala Connect 360 air awning gives you a generous width of 360cm and the option to expand this space with the Connect Extension, giving you an additional 250cm. 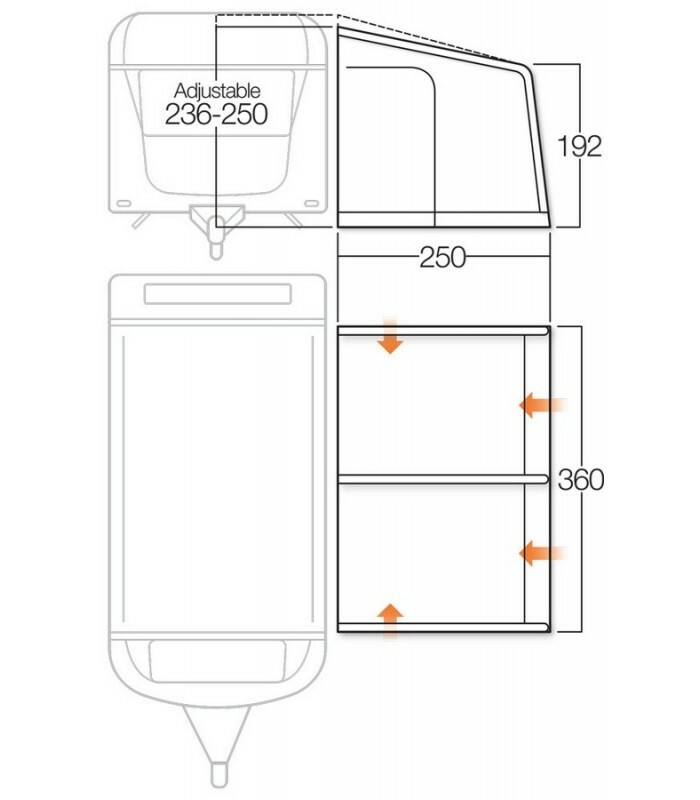 The Connect Extension is available as a left and right hand side and can be attached to both sides at the same time, giving you a huge width of 860cm. 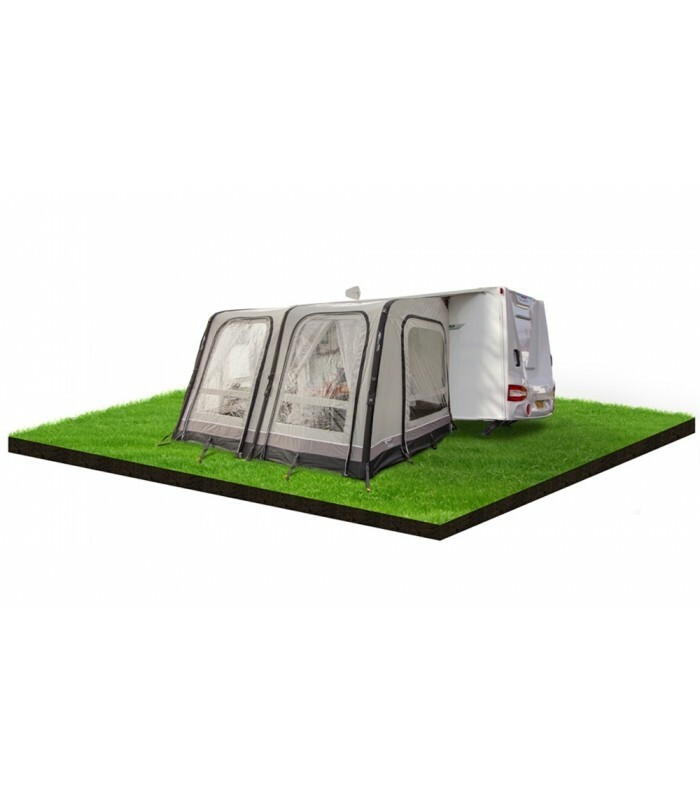 Vango has used their high quality Sentinel Pro fabric to create the Varkala Connect 360. 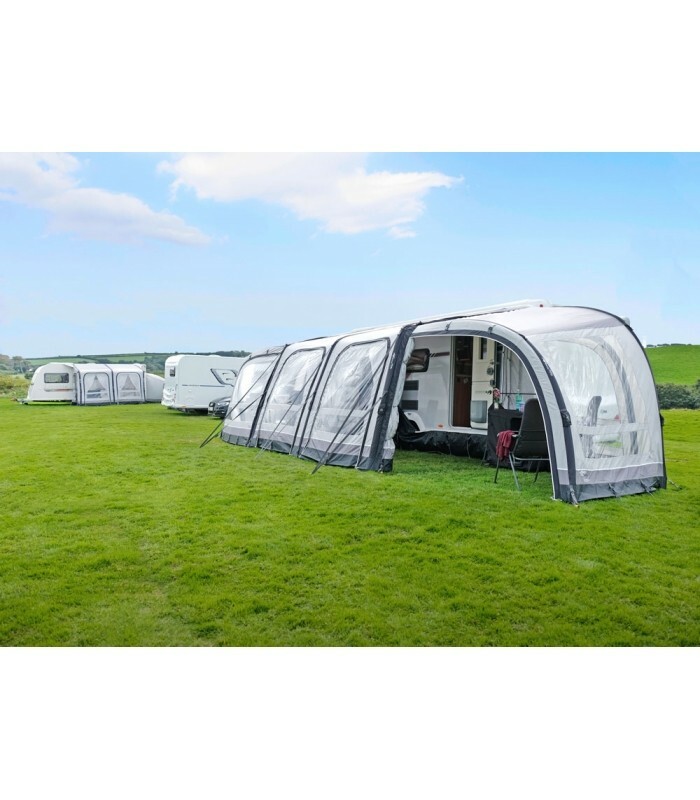 This polyester material provides this air awning with excellent durability and combined with the factory taped seams, is extremely weather resistant. 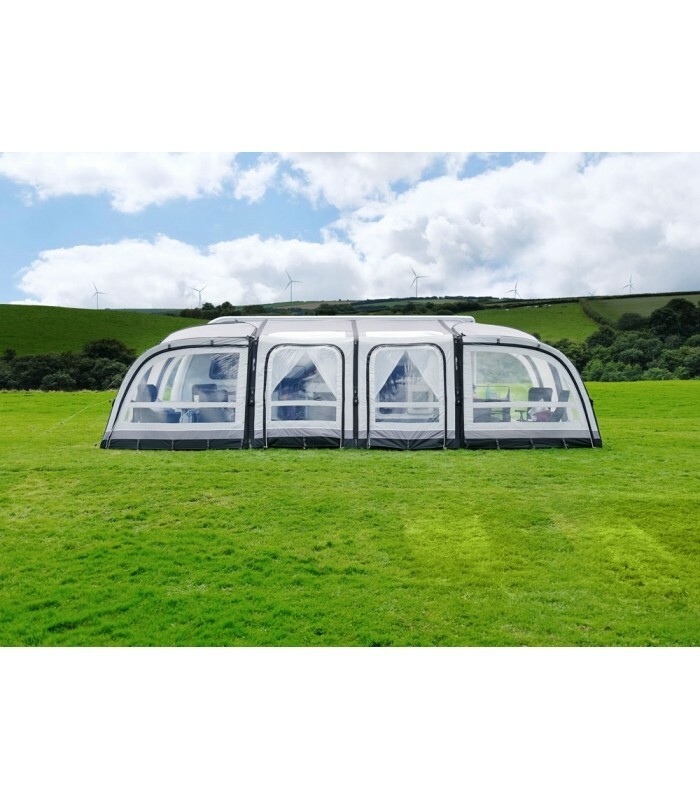 This fabric now includes Vango’s new ColourLok Technology; a special dye injected into the material which enhances resistance against ultraviolet fading. 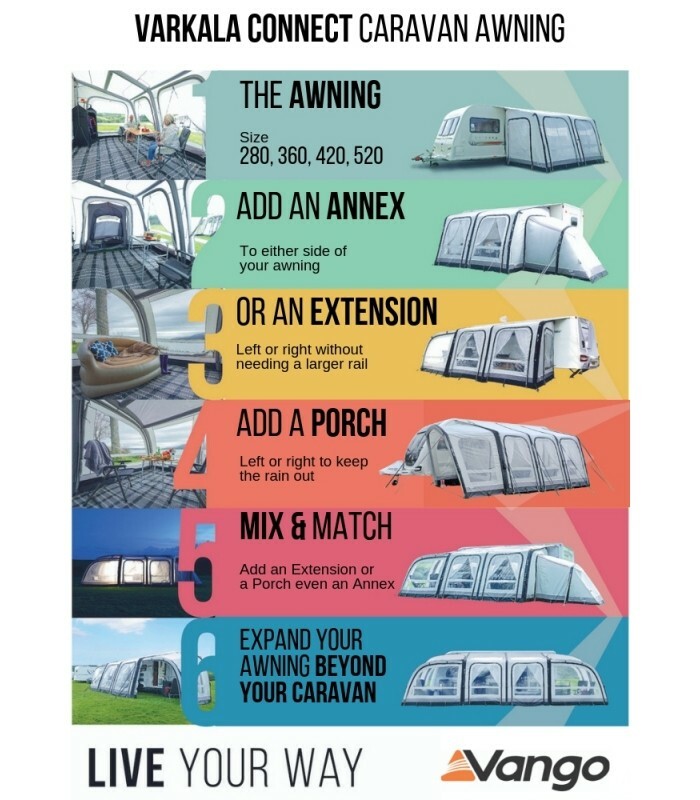 By utilizing Vango’s famous AirBeam technology, the Varkala Connect 360 inflatable awning ensures set up is stress free with a pitching time of only 18 minutes! 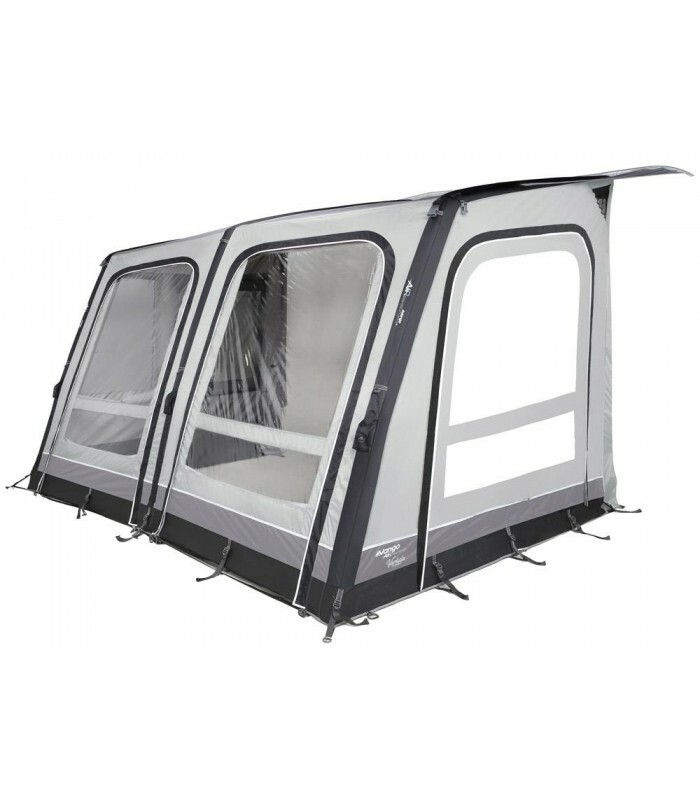 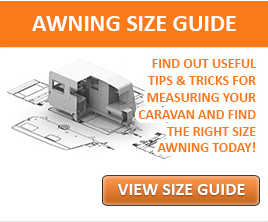 Once inflated the air beam tubes are robust and provide the awning with great stability. 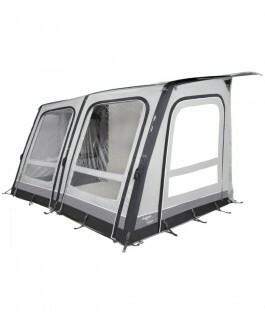 The webbing storm straps can be used in poorer weather conditions for extra security. 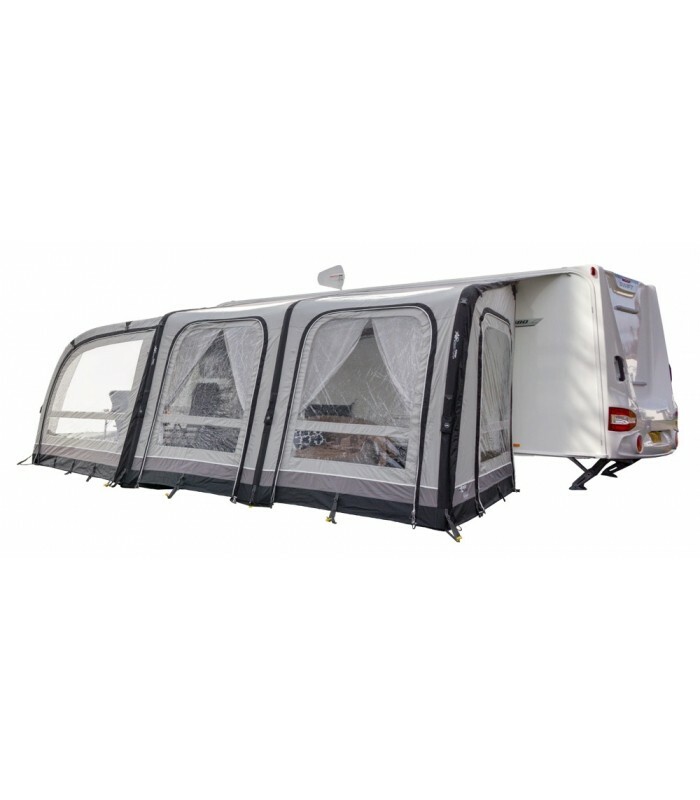 The smooth curve air beams maximise headroom inside the awning and door height, giving you a larger and more usable space to enjoy.